Everton goalkeeper Jordan Pickford has criticised his side's defending from set pieces and says they must "sort it out". The Toffees were held 1-1 at home to Huddersfield on Saturday and Philip Billing's opener for the visitors was the fourth goal they have conceded from a corner in five games. 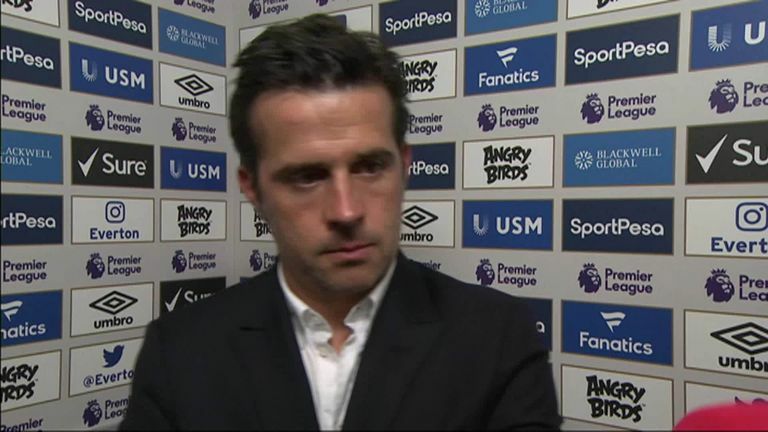 Marco Silva, who succeeded Sam Allardyce as Everton manager in May, has introduced zonal marking to the team who are currently unbeaten in their opening four Premier League matches - with one win and three draws. However, England goalkeeper Pickford believes there is room for improvement on Merseyside. "Everyone has got their own different ways that they like to set up from a corner," he said. "The main thing is not to concede and we have conceded too many. It has cost us four points in the last three games. "We need to sort it out. We will work hard on the training ground when we get back from international duty. "[Silva] is massive on offensive set plays too and we have scored a couple of goals that way. If we can keep scoring and stop conceding that's how you win games." Everton are back in action on September 16, after the international break, when they host 20th-placed West Ham at Goodison Park live on Sky Sports Premier League.